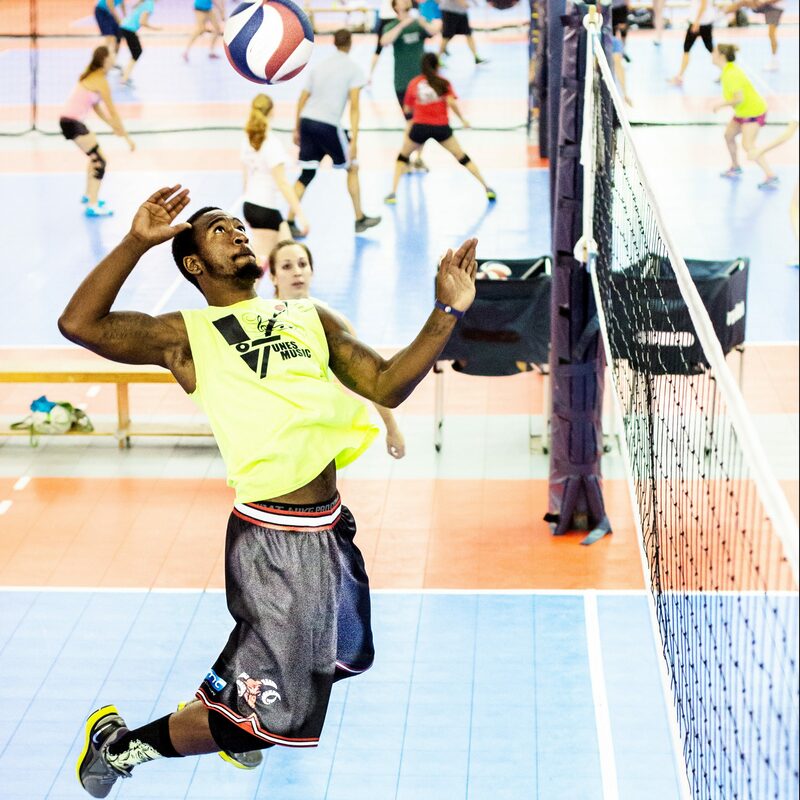 We believe volleyball is a lifetime sport that should be accessible to everyone. Because of this, we strive to offer programs for all ages and skill levels – both juniors and adults. 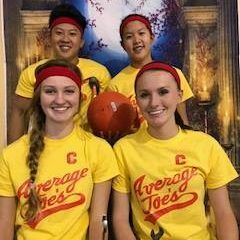 Through our adult programs we run beginner through open level leagues, a masters (+55 year old) level league, skills clinics, reverse co-ed quads tournaments, and sand volleyball opportunities. 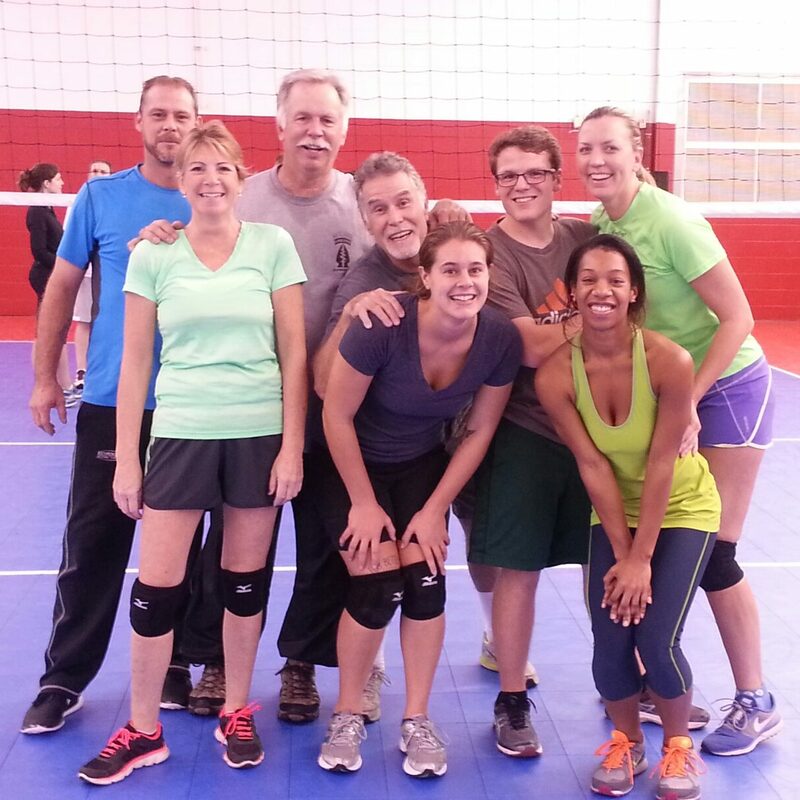 Starter League is a great place to start if you are new to RVC or new to volleyball. 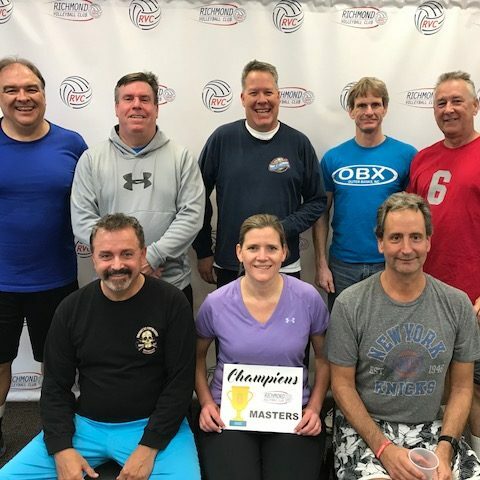 With options for the beginner player wanting to learn how to play volleyball, and for the intermediate player looking to play while learning more about the culture and structure of RVC’s adult league, Starter League is a great place to start. 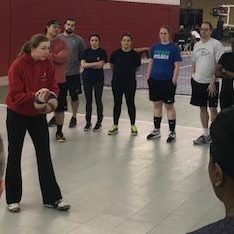 Drop-in League is an adult volleyball program for anyone who wants to play without forming a team, having a team captain, or requiring a roster! In other words, it is a more structured open gym where you can come and play in a fun and social environment. This league is designed for our life-time players still looking to compete. Playing two matches a night, one night a week, it’s a great way to stay active and involved in volleyball while competing with like-minded players. 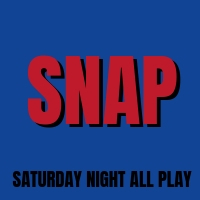 Saturday Night All Play (SNAP) is an extended open gym time typically every other Saturday evening from 7:00 PM – 11:00 PM held at RVC Stonebridge Gym (N. Chesterfield). There is no structured program, but players typically start pick-up games, run drills, or play King of the Court. To find upcoming SNAP dates, visit the RVC Club Calendar. Cost is $10 per player. Typically held 3-4 times a year, adult skills clinics are designed to help individual players improve. Each clinic lasts 2 and a half hours and focuses on one of three different areas: hitting, passing/defenses, and setting. To find upcoming Adult Skill Clinics, visit the RVC Club Calendar. Throughout the year we host various reverse co-ed quads tournaments. These tournaments typically are for BB, A, and Open level teams with a cash prize for the winners.